Update 9/8/2011: These wheels are sold out...however, we are considering doing another run. Each wheel would cost $790. 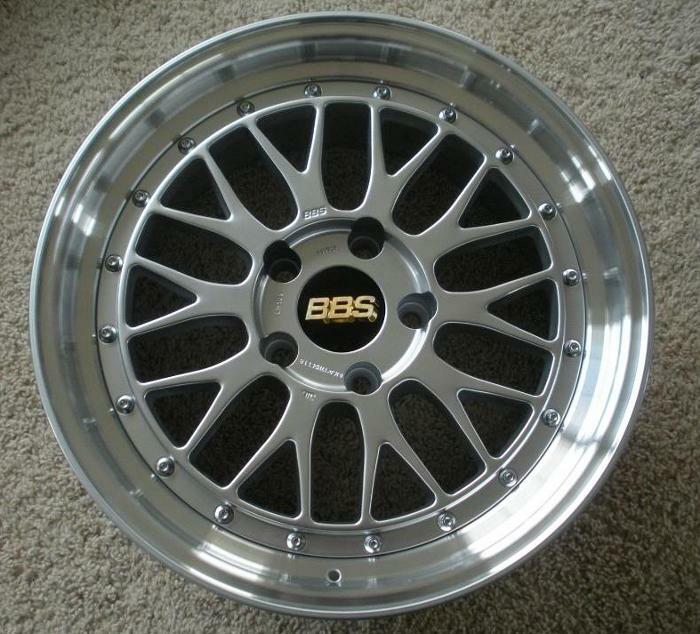 A VAC Motorsports exclusive - the only chance to get new BBS LM wheels in 17" x 8.5 et18! This wheel is a fantastic looking choice for any enthusiast of late 80's & 90's BMWs. Strong and light weight, a true high-pressure forged wheel in split spoke style. Considered by many as the ultimate expression of the famous BBS mesh wheel design language, this is one hot multi-piece wheel. This long discontinued size is now back at VAC! The ultimate in style and aggressive fitment for a select few, the LM wheel continues to be one of the most desirable and exclusive styles ever made for your automobile. Dark Nogaro Silver, or gold finish, available custom from VAC for an additional $180 per wheel, please call or email for details. -Rear fenders can fit up to 235s with no issues. From Nick of Milford, Ohio on 10/20/2013 .